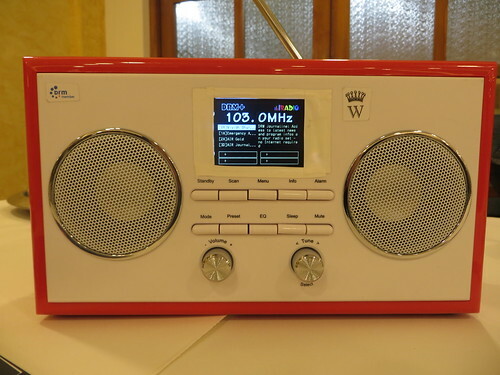 Digital Radio Mondiale (DRM) demonstrated the new DRM commercial receiver with crystal clear audio and extra capability like the emergency warning functionality at this year’s International Broadcasting Convention (IBC) in Amsterdam. 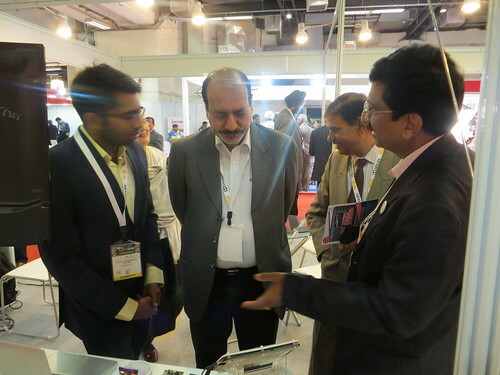 Pressing the emergency button on the new Indian–produced receiver was the highlight of the first DRM event at the Fraunhofer IIS booth (Hall 8 B80). 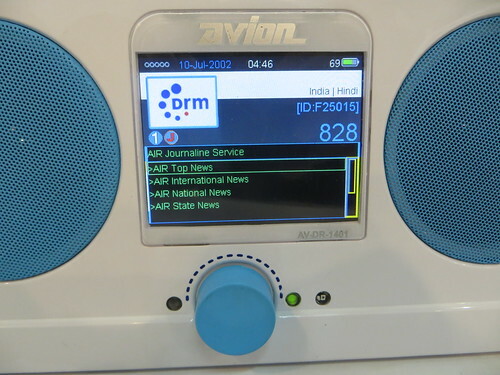 The rich features of the Indian receiver (from the new Consortium member Communication Systems Inc. (www.avionelectronics.in) were in evidence: colour LCD with million colours, 10-12 hours of backup on single charging, xHE-AAC audio coding, emergency warning, Alternative Frequency Search (AFS), DRM text and scrolling messages. The receiver (available on www.amazon.in), was used to capture a daily SW DRM live broadcast (10-13th September) transmitted by Babcock international on 6040kHz, 100kW from Woofferton, UK, on 114 degrees to Europe. Featuring BBC, NHK and Radio Vaticana content, the transmission was crystal clear even on a boat under the many bridges of Amsterdam. 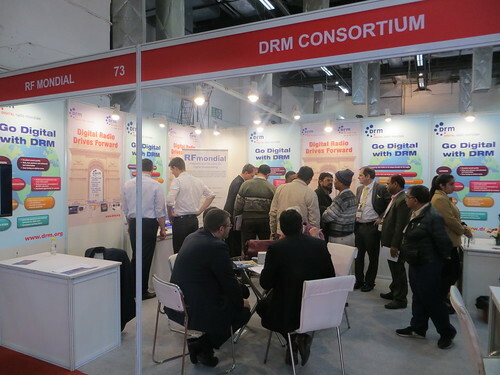 Recent and exciting market developments in Asia, Africa (where the DRM30 trial might be soon joined by a DRM+ trial in the Johannesburg area), Europe and Latin America featured large at the four DRM events on September 11th, 12th and 13th. 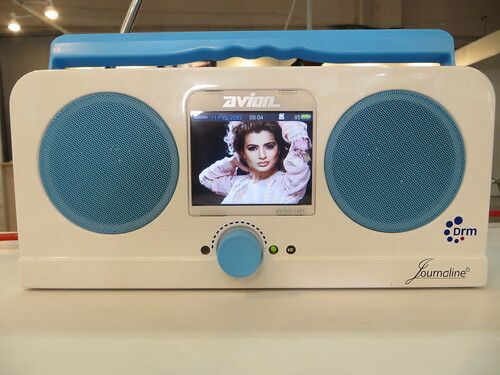 The Thomson Broadcast event on the 12th focused on transmitters for alert systems and gave details of a “hot off the press” announcement about a new transmission contract (DRM ready) for Morocco. 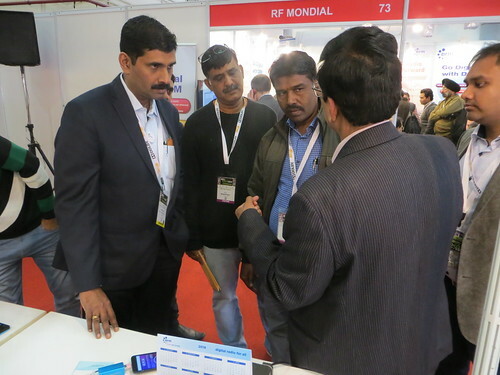 The Nautel event, held the same day in Hall 8 C49 and extremely well attended, featured new developments in DRM transmitter technology, more about the continued roll-out of DRM in India, news about the DRM+ trial in St. Petersburg and new innovative multi-band receiver in development. 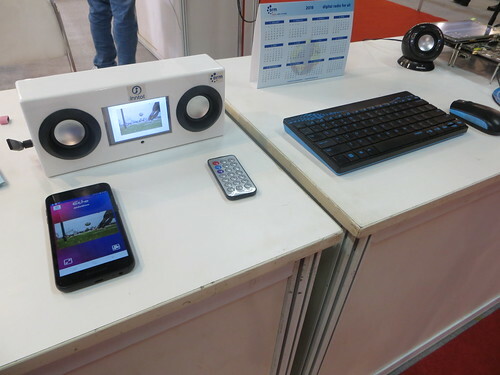 On Sunday morning Ampegon and Transradio featured integrated transmission systems, demonstrated the energy efficiency of new antennas and transmitters like the low-power solid-state Ampegon transmitter sitting in the middle of their booth (Hall 8 D35). 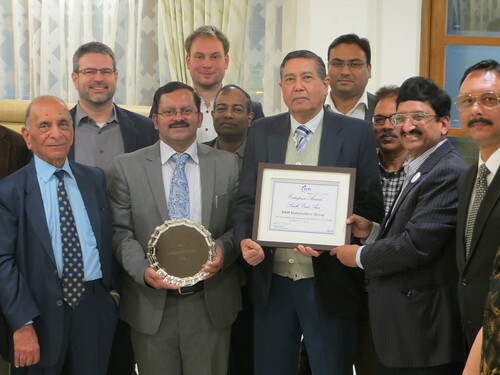 IBC is a great occasion for members of the Consortium to meet industry experts and contacts from countries as far apart as South Africa, Romania, India, Turkey and Indonesia. 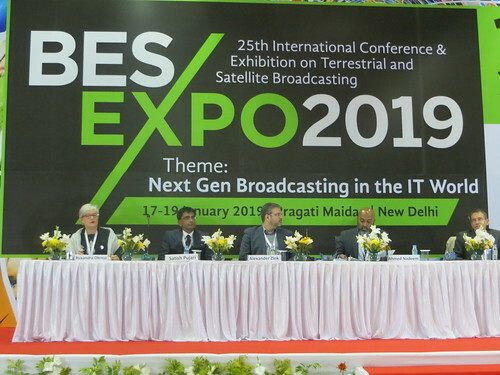 Ruxandra Obreja, the Consortium Chairman, says that: “IBC 2015 has been the best ever for us and all those interested in the most modern and flexible truly global audio broadcasting standard, DRM. 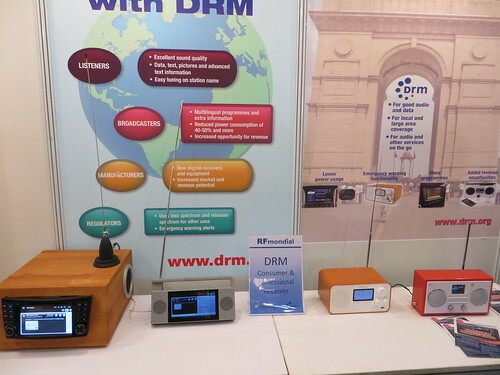 During IBC 2015 we shortened our presentations and demonstrated more how DRM can close the loop between excellent transmitted sound with multimedia services, at much lower cost than before, and reception on state of the art receivers”. Other DRM members present at IBC are: Babcock International, GatesAir, RIZ Transmitters and RFmondial. DRM will next be present at the Asia Broadcasting Union General Assembly in Istanbul, Turkey – October 27-30. 30 MHz is called ‘DRM+’, tailored for local and regional coverage with broadcaster-controlled transmissions.